September is “Dine Out for No Kid Hungry”, when restaurant across the country raise money to help end childhood hunger wins America. In fact, 1 in 6 children in the U.S. faces food instability, meaning more than 16 million children go hungry every day. For our first project for Fuzzy’s Taco Shop, J&S introduced a new cause marketing initiative called Fuzzy’s Chips In™. 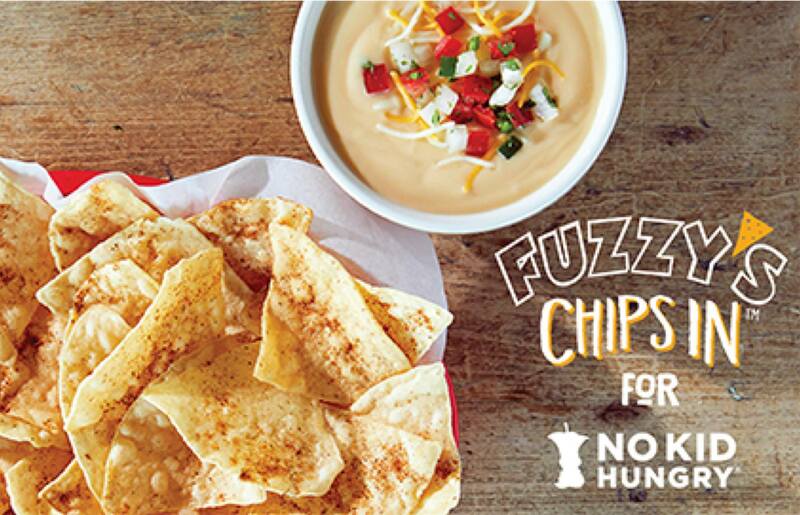 A donation of $2 scored Fuzzy’s Fans a free chips and queso on their next visit. It’s “Queso for a Cause,” if you will. The program resulted in a record $140,000 in donations, a +56% lift over last year’s efforts.